large, slightly oblong galaxy to the left of M84. A couple weeks back I finished my Messier List! Or so I thought. Come to find out, in the first month of observing during which time I was relying only on Sky Safari to record my observations, I was not recording descriptions of my observations. At the time I was not yet set on fulfilling the requirements for the official Messier certificate nor is Sky Safari really designed for detailed observations. At some point I made the decision to begin taking down full descriptions at which point I switched over to a FileMaker database to better record observations. So, I’ll have to re-observe 80 or so objects!! I was going at quite a pace to get that many in just 40 days or so. To be honest, I’m actually happy to do it because a second round of observations with my improved viewing skills and a better scope really is called for anyway. In looking through the notes that I did record, starting sometime in November, I realize now what a poor job I was doing. I expect I may one day look back at my current notes and think the very same thing. Here’s an example. 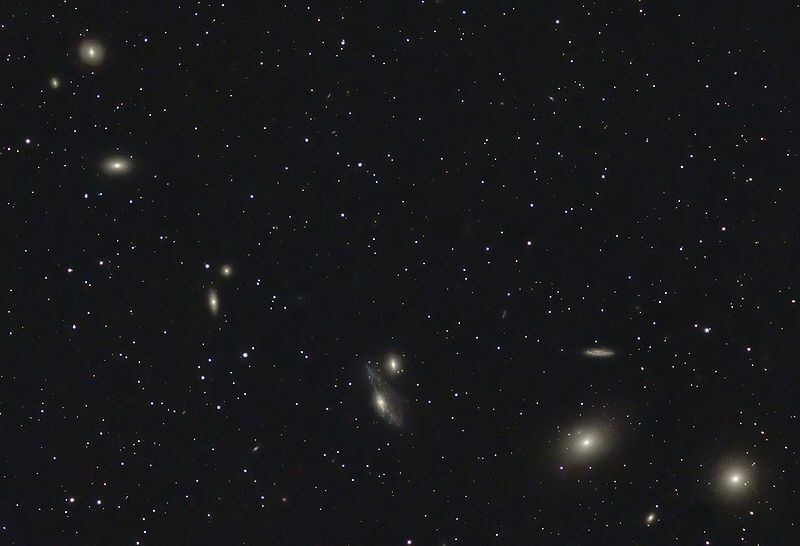 For M84 my description was simply “A fantastic cluster of galaxies – beautiful.” That’s not the correct way to do it. For starters, M84 is a single galaxy that is a part of a string of galaxies called the Markarian Chain. It would have been fine for me to describe it as a part of that chain but I should have included a description of the object too. Probably something along the lines of “M84, a lenticular or elliptical galaxy, presents as a spherical halo with a stellar core.” That is still a pretty basic description but it would be a step in the right direction. I could have added something about it’s relationship to nearby M86, perhaps comparing the two and noting that M84 is more spherical with a slightly brighter core while M86 is slightly less bright with a more oblong shape. This is far more complete and will help me remember what it is I’ve seen. As for the how of basic observation and recording, I use an iPad, spread sheet and database. Each observation gets logged into the spreadsheet on the iPad which is later entered into a FileMaker database. I record the date, time, atmospheric conditions, telescope used and eyepieces used. Lately I’ve also been recording temperature. Last is a brief 2-4 sentence description of the object and how it might appear in relation to other objects in the eyepiece. The more detail I can record the better I’ll remember the observation when I read the description later. Also of great importance is that in recording observations, in looking for detail, we’re actively training our eyes and brains to see better. The recording reinforces the observing skills and the increased observing skills, in turn, result in better written notes. One last thought, I also make it a point to at least skim the description of the object in Sky Safari as it often notes what should be visible in an amateur scope. I am also sure to study the image presented as a guide in observation of detail. The photos are far more detailed than what we can expect to see with our eyes but after a bit of practice I’ve learned to translate the images into more realistic expectations. They present the ideal of what is there. Amateur astronomy, as I’ve written before, is a great way to learn some of the basic skills of science. Namely, the importance of consistent and methodical observation/data collection as well as consistent and methodical recording of that data. 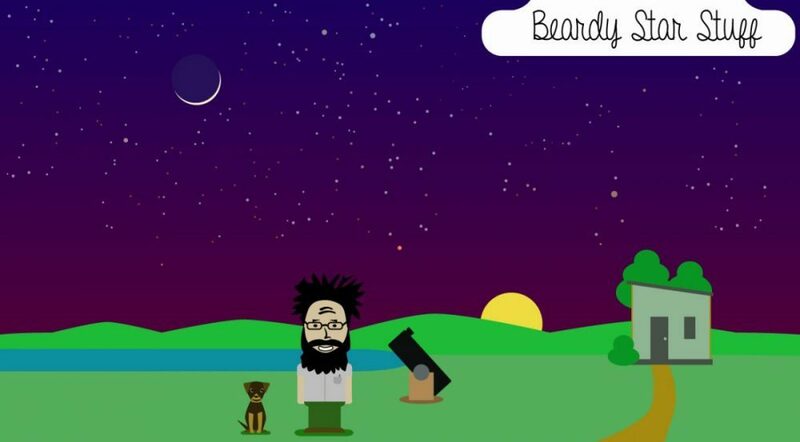 Amateur astronomers regularly contribute to the collection of data used in the field and with citizen science projects such as Zooniverse they are also helping to analyze the data collected by the many space telescopes currently collecting vast amounts of data. Whether they are finding NEOs (near earth objects such as asteroids) or finding exoplanets, amateurs are contributing to the science. It requires a certain level of observational skill, a willingness to increase that skill, and time. That’s about it. Well, actually, it can be quite a bit more complicated and the time involved can be great if one is serious about certain areas such as the search for NEOs which requires not just detailed observation but consistent and methodical photography. One last point. For anyone getting involved in amateur astronomy there is the side benefit of not only paying closer attention to what is being done by scientists in the field but also a very real-world personal benefit of a much deeper, more meaningful understanding of how science works generally and just how complicated the work really is. I can say that in just a few months my level of understanding, though still pretty basic, has been greatly increased and my appreciation for the work of NASA and others is now on an entirely different level. This entry was posted in Astronomy, Science on April 2, 2013 by Denny. Excellent, as per usual, Mr. Henke. Particularly helpful to me, as I'm just starting my Messier list. I have some brief descriptions jotted down, but when I view an object I find myself at a loss for details. You can only describe a galaxy as "fuzzy" so many times. (Kidding!) It's hard to know what you don't know, you know? So this is great. I may need to just get some more objects in the scope to begin to learn how different and unique they each are before I start logging. We'll see; I have a pretty good teacher. It's so great to share scope time with you because you always explain things so well and so eagerly. And you don't seem to mind explaining the same thing each time I come out. Totally no sense of, "If she asks me what an asterism is ONE more time I'm going to send her home!" =) Or you're really good at hiding it. It's going to be a great summer, I can feel it. Now, for some clear skies! Why thank you. To be honest, many of my descriptions are not MUCH more than that though they are getting better as I see better. I'm also spending more time on each one. In the first month or two I probably spent 5 minutes on most objects. Now I spend a minimum of 10 minutes and often spend 15-20 minutes on each. And you are correct, the more you view the better you get. Also, I touched on Sky Safari. What I didn't say is that I sometimes just browse through those object photos and study them. It helps to reinforce what it is I should be seeing. Another important technique that can't be said enough, averted vision. After I spend a minute or two looking directly I then alternate every minute or two by looking away just a little. When I use averted vision I probably see 15-30% more of an object, both in the size and detail. Once I have that in my mind I turn my vision back more directly and some of those averted vision details remain. Maybe next time we can really focus on this. Maybe pick a few of the really good objects first. That's why Messier is the intro list… most of those are the brightest of the faint fuzzies and serve as a great practice run for the more difficult objects. My apologies to readers of this blog. I feel somewhat responsible for the lack of entries. I will speak to the manager and see what I can do toward encouraging him to get something posted here. I promise, he has interesting things to share (but you knew that). Stay tuned.